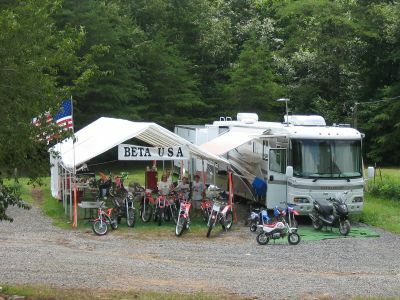 A wide range of options are available for lodging and camping at the TTC motorcycle resort. 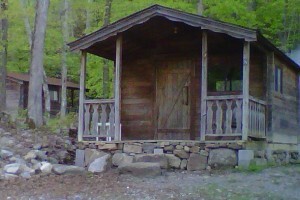 Contact us for availability and to make reservations. 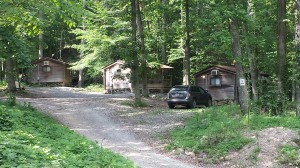 Our campground includes 8 log cabins for rent. 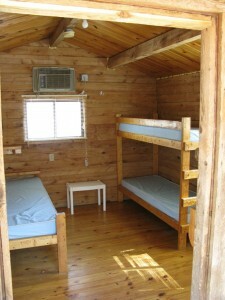 These are equipped with electricity, heating and air conditioning. 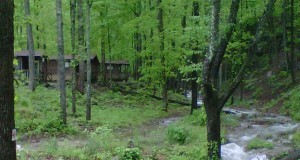 Each cabin has a small porch overlooking Dry Water Creek. Most of the year Dry Water Creek is dry… but during wet season you can enjoy the hum of the clear water running down the stream. 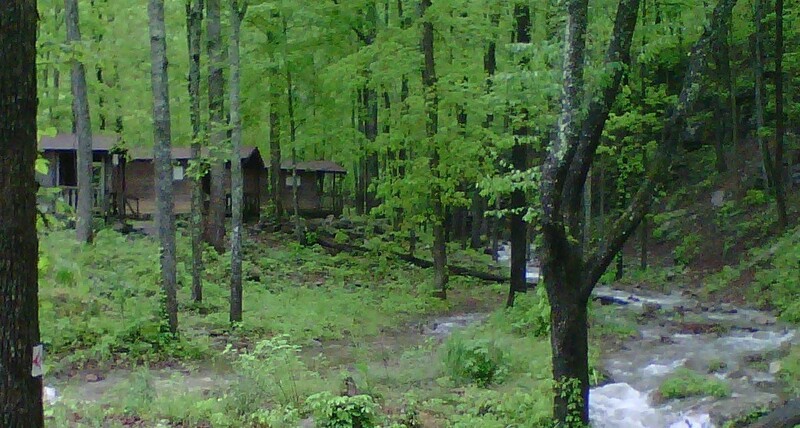 Water and showers are available in the men’s and women’s bathhouses. Bring your sleeping bags, towels, and toiletries and enjoy your stay at our beautiful Tennessee location. 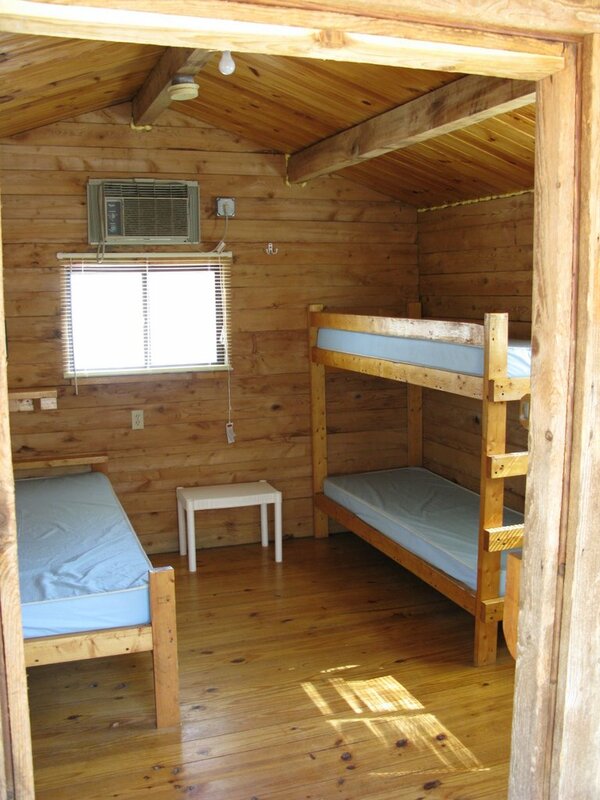 Cabin rentals are $55/night for the smaller cabins (1 full size bed + 2 twin beds) and $65/night for the larger (1 full size bed + 4 twin beds). 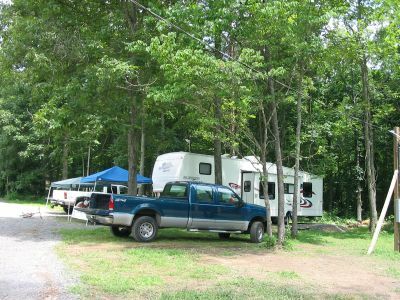 Primitive camping is available for $15/night within the grassy fields below the lodge and within the wooded tent camping area near the bathhouses. 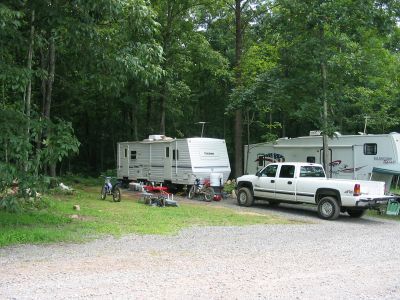 We also have 16 RV spaces available for $33/night. These include full hookups. (Prices may change for large events.) These include a 12′ wide by 60′ long (minimum) gravel pad. Four have 30-amp service. Hotels: Numerous hotels are located within 15 miles from the TTC. All of the above hotels are Offering Discounted Rates for our Guests for big events – make sure you tell them you’re coming to stay at TTC!